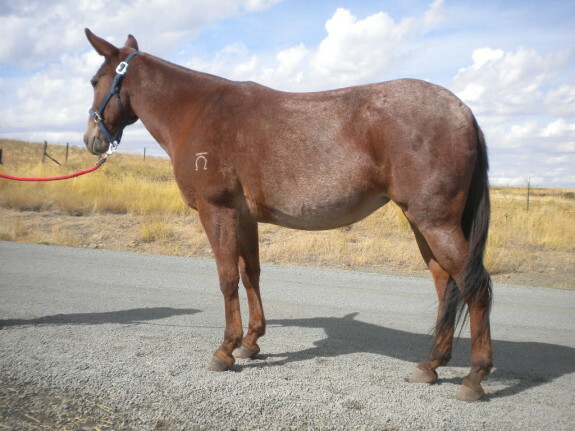 You are here: Home / Sold / Penny – 15 year old, 14.2 hand, molly, red roan riding mule, been there done that. 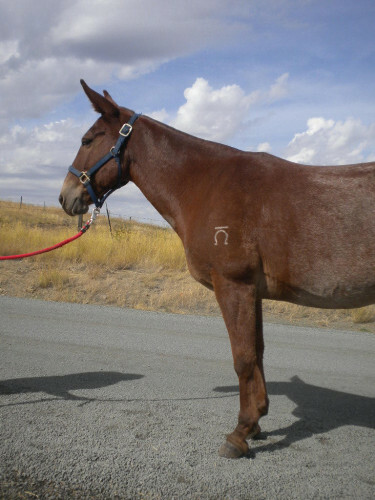 Penny is a solid saddle mule with tons of experience, you can saddle up and ride to town or travel out to the back country. She has been used in parades, and wagon train rides. She is good with young or inexperienced riders. She has a nice neck rein, and smooth lope. Excellent shape with many more years left in her.